By the time he turned eighty-five, the old man was done with marking the day and would have none of it. His granddaughter called herself a “party person” and tried to organize some kind of surprise celebration in spite of his wishes. When he got wind of it, he called the local paper and told them he had died, disguising his voice on the phone and even sending them an obituary he typed up himself. After that, he stopped speaking to them altogether. This bitterness was so successful that his centennial, a landmark in any life, passed unnoticed. But the day he turned one-twenty, a young intern from the college came around for an interview. 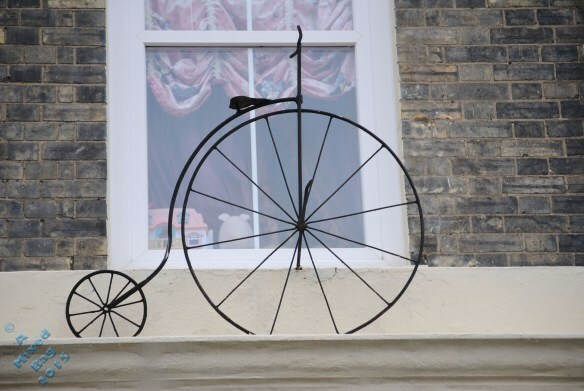 A polite girl, she brought him a gift, a small replica of an old-time highboy bicycle, the very type he had learned to ride in the waning years of the century before last. She placed it on the windowsill where he could see it, got out her notebook and sat down in a little wicker chair across from him. What a character. I imagine he has quite a story, if he’s the story of man that would call the newspaper and report himself dead. His strong-willed character really comes through, great voice! And I can feel the frustration of someone who thinks nobody understands him. How sad to think that a college intern can hit upon a connection just by (I assume) thinking it through, when his own family just refuses to listen. The main character is vividly brought to life here. Sadly, his family never realised that a little respect goes a long way. What a great deal about a really great character. You have summed up this character so well in just a few words leaving everybody wanting more :-) maybe next week you should do something about the same character! Great story! Calling the newspaper to say he was dead was hilarious! Finally, someone got him a gift he actually liked. A very strong willed character! I feel sorry for his family, they tried. Just shows that sometimes you need a fresh approach. Lovely story. Written very well. You can feel the bitterness in him as you read the story.He finally gets to speak of himself and knows someone is listening! Finally, a soul who understands.. Wonderfully written. A bit of a curmudgeon but quite a character! The girl broke through his walls. And all it took was a little bike. Great story.